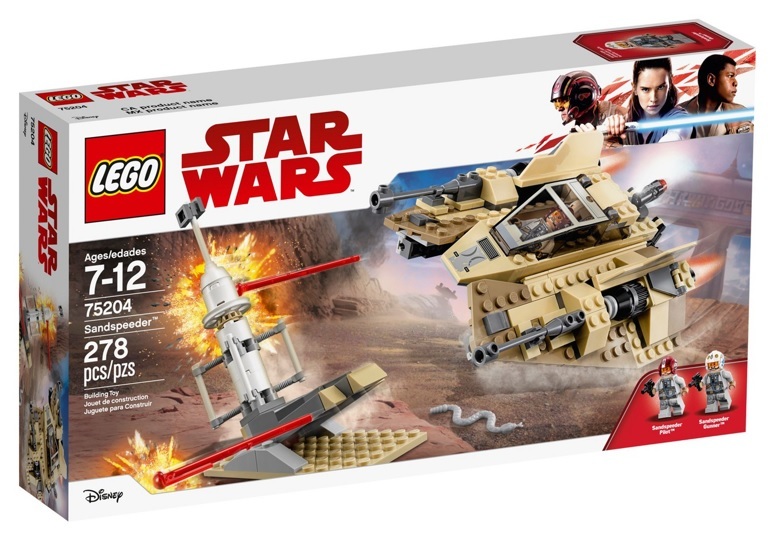 Target.com currently has LEGO Star Wars Sandspeeder 75204 on sale for $23.99 (reg.$29.99). Savings work out to be 20% off. This is a Target exclusive LEGO Star Wars set. They also have these 2 sets below discounted as well. Remember if you have a Target RedCard or Credit Card, you can save an additional 5% off. Next PostNext 2019 LEGO BrickHeadz Sets Revealed!